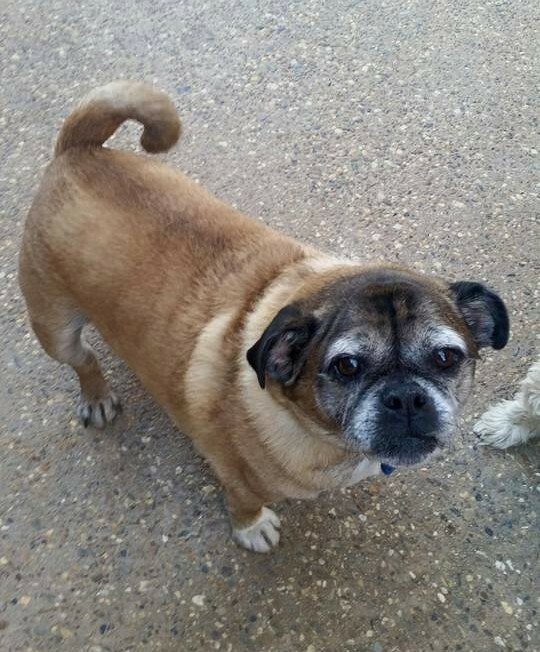 *TOBY IS CURRENTLY TRIALING HIS NEW HOME* Would you look at this chubby little bubby – how adorable is he! 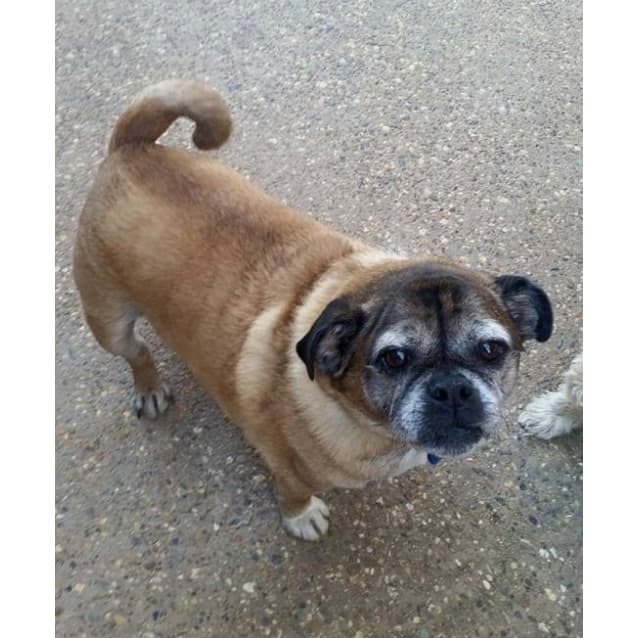 Toby is a 7½ year old Pug crossed with a Jack Russell Terrier; he looks almost one hundred percent pug-like though he has a slightly elongated snout. 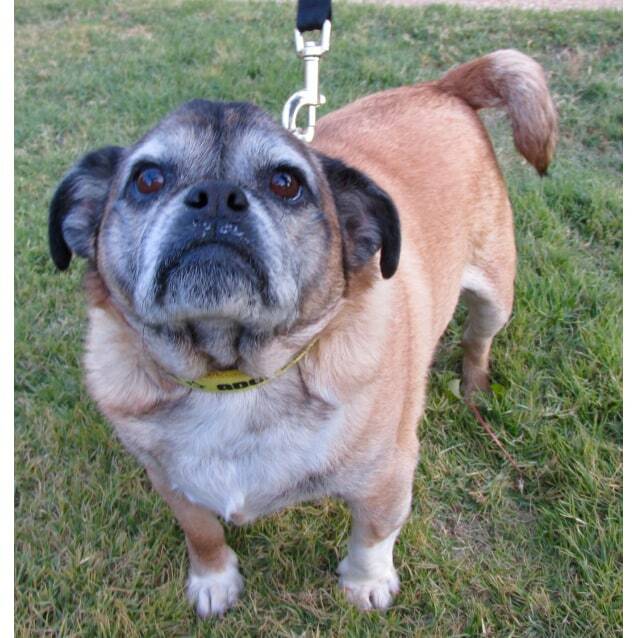 He has lived with an older couple all his life but after dad passed away, his mum is sadly no longer capable of looking after him, and wants to make sure he goes to a loving home where he can receive the quality of care that he deserves. Having been an outside doggie all his life, Toby is now enjoying an indoor/outdoor lifestyle since coming into foster care. He does have a lovely little kennel he sleeps in or he will sleep in a cuddly jumble with his canine friends on their beds! He does love his friends, and having had the company of people and other dogs all his life can get a bit anxious when left alone. We therefore recommend he goes to a home where he can be accompanied by people and/or another friendly dog – his previous owner enjoyed tinkering in his shed or working in the garden with devoted Toby always close by. Toby gets along beautifully with other small dogs playing a more submissive role, though we don’t know about large dogs as yet. He also loves dog friendly cats. 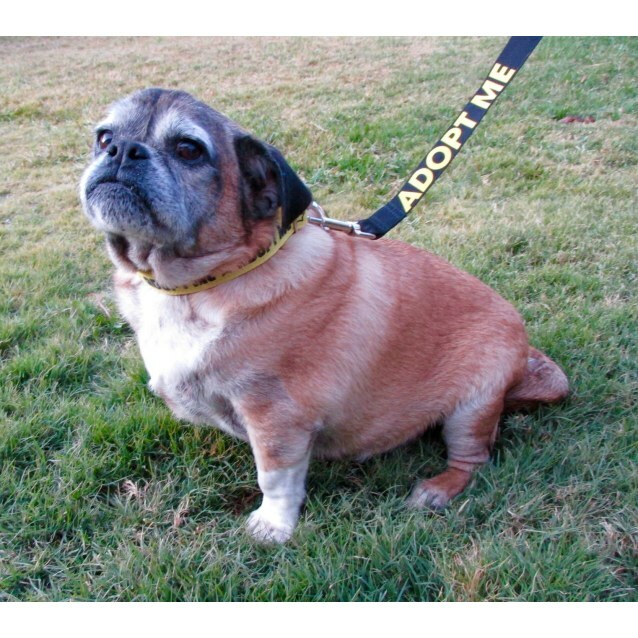 Loveable Toby is very friendly and enjoys pats more than anything, making very cute little pug noises to let you know that. He also has another very funny little idiosyncrasy; when he is excited his front leg twitches just like Elvis! He has lovely manners, knows "sit" and as you can see from his video has even learnt to shake hands since coming into care. Considering he is a little overweight, Toby could do with a controlled diet and some exercise to improve his health - he does very much enjoy his walkies, so this will help. Toby is desexed, microchipped, C5 vaccinated and wormed. Administered a yearly Proheart vaccination for heartworm prevention.